The Institute for Georgia Environmental Leadership, Inc. is a not-for-profit, 501(c)3 corporation that acts as IGEL’s governing body. The Board of Directors establishes IGEL’s vision and goals, and develops the broad policies that guide the organization. The Board of Directors develops the resources needed to support IGEL, including subsidized tuition, provides fiduciary oversight and evaluates program success. The Board of Directors consists of no fewer than nine and nor more than 25 members. It must always include the Board Chair and recent IGEL program graduates. The Board fixes a precise number of directors by resolution, set by a majority consensus of all current directors. IGEL’s Board members, who are all program alumni, bring exceptional, unique knowledge, hands-on experience and leadership skills to the organization’s management, mission implementation and programs. Our people are leaders in government, non-profit organizations and industry in every part of our state. 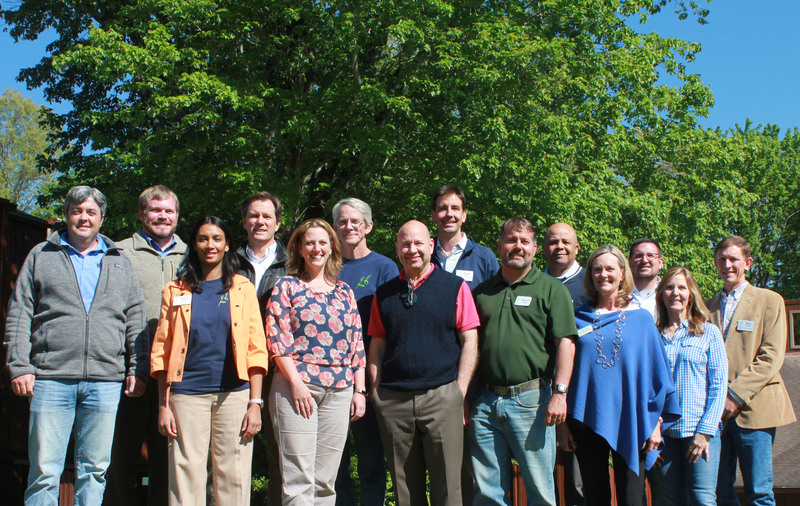 They are passionate about the work we do: developing and challenging the future environmental leaders of Georgia. For a list of the current Board of Directors, see below. IGEL, Inc. has partnered with the Center for Ethics and Corporate Responsibility at Georgia State University’s J. Mack Robinson College of Business to develop and operate the curriculum and leadership program, as well as the administrative support for the Board. IGEL qualifies as an elective program for the Certified Commissioner for Advanced Training Program for the Association of County Commissioners of Georgia. Stephen Bailey – Pond Co.
Steve Bradley – Cox Enterprises, Inc.